People love their dogs and the K-9 is one of America’s most beloved animals. The truth, however, is that dogs can be quite dangerous at times. If you or a loved one has suffered injuries as a result of a dog bite then it is important that you seek compensation. Springfield Injury Law Tom Kapstrom is a Springfield Dog Bite Lawyer who handles such matters. Contact us today for a free initial consultation. Missouri is a “strict liability” state when it comes to dog bites. This means that pet owners are responsible for damage caused, by their dog, regardless of whether the owner was actually negligent. Missouri Revised Statute 273.036 imposes this strict liability even if the dog has never bitten anyone in the past. An exception to this law, however, allows a pet owner to escape liability if the dog was provoked. 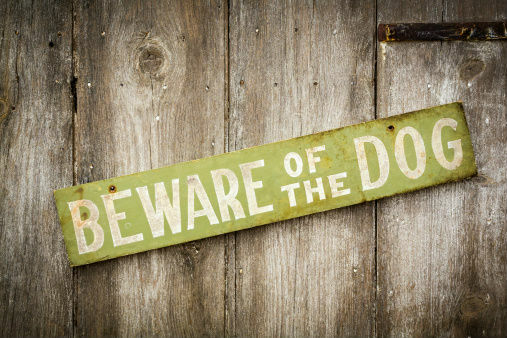 It is common for pet owners to claim provocation as a way of escaping liability for their pet’s actions. Hiring an attorney who understands how to build a case can make all the difference in whether you recover for your injuries or if you are stuck with your own medical bills and lost wages. Springfield Injury Law Tom Kapstrom is a Springfield Dog Bite Lawyer who aggressively protects southwest Missouri residents who have been the victim of a dog bite. Once retained, Tom will immediately make a demand to the owner’s property insurance carrier so that you may receive the compensation you deserve. Should it become disputed as to whether the dog was provoked then Tom will file a civil case in the Circuit Court. He will then use written discovery, depositions, and an expert if necessary to establish that the dog engaged in an unprovoked attack. Our lawyer has the experience necessary to handle such matters after spending many years working in insurance defense. If you have been injured, and possibly traumatized, through no fault of your own then our personal injury lawyer today. The fact that dog bite cases impose strict liability make them unique. This means that rather than arguing over if one was using reasonable care, which is common in car accident, truck accident, and pedestrian accident cases, the sole issue in dog bite cases is whether the animal was provoked. Often these matters do not involve any witnesses which means it comes down to one person’s story against another’s. This can make the discovery process even more critical than it is in other injury cases. Tom Kapstrom assists people throughout southwest Missouri in dog bite cases. In addition to Springfield, he is able to help people in Polk, Christian, Stone, Taney, Webster, Wright, and Lawrence Counties as well as the Ozarks.